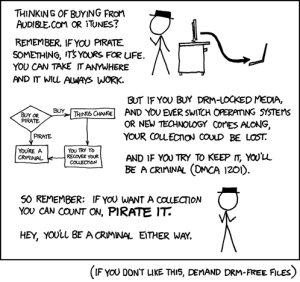 Work together to eliminate DRM as a threat to innovation in media, the privacy of readers, and freedom for computer users. On May 6th, the world comes together to say no to Digital Restrictions Management. Tails version 1.0 has been released.